The Neolithic Revolution was the period when humans transitioned from hunters and gatherers to agricultural society, which was made possible by the development of project management skills. The ability to conceive and execute plans that defer short-term gratification for greater gains in the long run has allowed humans to separate themselves as the most complex and dynamic species on the planet. 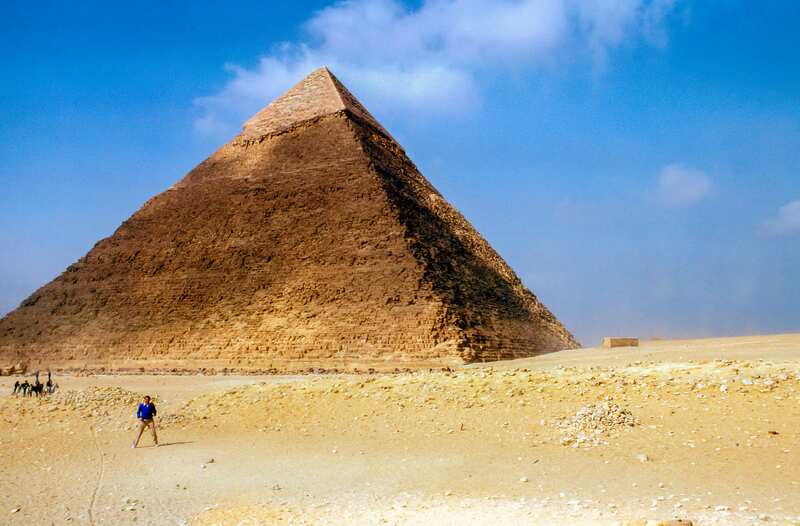 From the ancient wonders of the world like the Great Pyramids of Egypt, through the modern wonders of the world like the Great Wall of China, and through this past century that saw us put a man on the moon, all of humanity’s greatest accomplishments have prospered because of highly evolved organizational skills. Those skills have created the foundation for the theories which have created the modern field of Project Management. For a great reference on some of the theories that inform the decisions of modern Project Managers, check out this Guide to Project Management Methodologies. Let’s take a closer look at the history of Project Management, which includes some of the historical projects that have raised humanity’s expectations for itself, and the theories that have evolved as a result of our accomplishments. The City of Rome was perhaps the first modern city, with many of its greatest projects still standing today. The Romans were the practically minded inheritors of Greek philosophy, and were able to take many of the esoteric concepts of physics and mathematics that were conceived by the Greeks, like the Pythagorean Theory, and put them to use with superior project management to create the first city that reached a population of one million citizens. Rome developed the infrastructure that allowed for some of the first urban amenities like concrete homes and communal buildings (such as the Pantheon), grain distribution to all citizens, and most famously, a plumbing system that brought running water to every home. The Roman Aqueduct was their crowning achievement of engineering. By using a slight downward gradient, the Roman aqueducts allowed gravity to let water flow from distant sources into the city, and then into the homes of private citizens. Some of their aqueducts are still in partial use today. 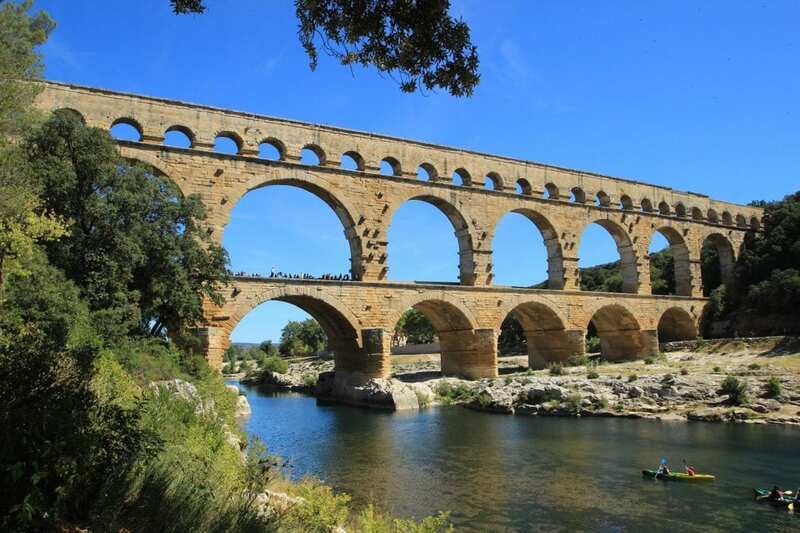 The Roman architect and military engineer Vitruvius recorded his observations of the Aqueducts in his book De Architectura, which had a major impact on Classical Architecture, and is considered the first text on architectural theory. The understanding of advanced project management allowed Rome to become the dominant power in the Mediterranean Sea for many centuries. Henri Fayol was a French philosopher whose work brought about the modern era of Project Management. Observing French factories and companies after the Industrial Revolution, Fayol was inspired to create a theory which improved project management and created a more efficient workforce. His theory, called Fayolism, encouraged administration to use forecasting and planning to minimizing misunderstandings in the workplace. His theory was flexible, and can be applied not only to industrial settings, but also in the home, and the government. Fayol wanted management and workers to use verbal forms of communication instead of written forms to increase empathetic relationships in the work place, encouraging heart to heart talks over workplace memos. His ideas are still taught in Project Management curriculum at all levels of higher education. For reference to some of top graduate programs for Project Management, check out our list of The 25 Best Online Project Management MBA Degree Programs. Developed by the engineer Henry Gantt in 1917, The Gantt Chart created the visual paradigm for modern Project Management. 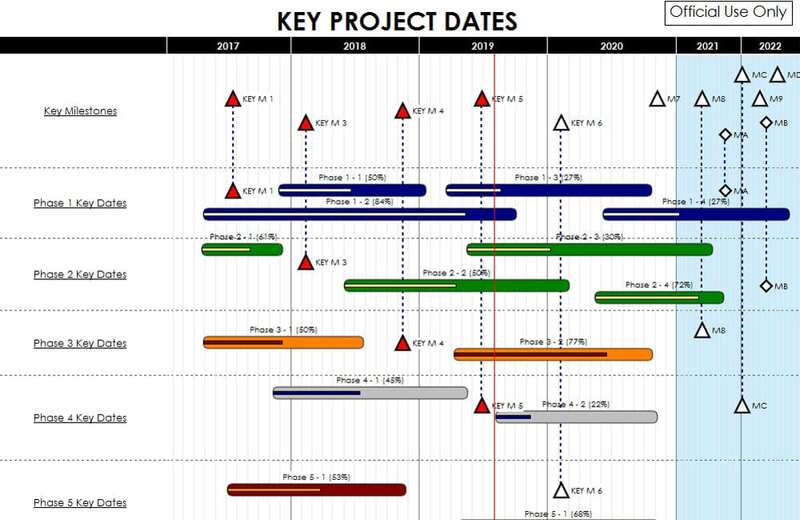 The Gantt Chart is a horizontal bar chart that places project tasks along the vertical axis, with a chronological timeline along the horizontal axis. This allows for task timelines to be appropriately staggered so that each prerequisite can be completed before or concurrently with the next phase of the project. For more information on Gantt Charts and other ways to schedule and organize workflow, check out our article on How to Create A Project Management Timeline. Today the Gantt Chart is still used in businesses all over the world, now created digitally using Google Sheets, Excel, or PowerPoint, as well as other more customizable options. Gantt charts have shortcomings under some circumstances however, which is why the United States Navy created the Program Evaluation and Review Technique (PERT) in the 1950’s. When the United States Navy was developing the Polaris nuclear submarine project, they created the PERT technique, in order to elaborate on the Gantt chart, and allow for further optimization. A PERT network chart allows organizers to break down tasks into smaller sub-tasks, placing an emphasis on identifying the minimum amount of time that it will take to complete each task. The PERT chart allows organizations to create an educated guess for the duration of a given project by using four different types of time allotments which allow uncertainty to factor into the estimation. The four types of time are: optimistic time, which is the minimum amount of time in which a task could be possibly completed; pessimistic time, which is the maximum amount of time that could be allowed to complete a task; most likely time, which is the best estimate of the time required to complete a task; and expected time, which is the best estimate of how long it will take to complete a task with possible delays included. PERT management tools typically come in the form of arrow and node diagrams that correspond to tasks and events, respectively. Wrote standardized guides on the discipline, like the PMI’s “A Guide to the Project Management Body of Knowledge (PMBOK),” which is still considered standard today. Offered certifications that were created from professional experience. Now that you know a little bit about the history of project management, you might be asking, what can I do to apply its principles and methodologies to my life, and my work? Is it right for me? As with any undertaking, reading, studying, working and learning in structured environments or programs will be the most effective ways to gain an understanding, potential mastery, and employment within project management. If you’re still deciding whether a degree or career in project management is something you want to pursue, take a look at the benefits and differences between Project Management MBA’s and Master’s in Project Management. When you’re going through this decision making process, consider the options based on your goals, experience, and ability to commit time and effort. Reading up on project management can help you decide if it’s right for you. Whether you’re working in project management, studying it, or aspiring to do both, you will benefit from our list of the 20 Best Books on Project Management. The logical next step towards gaining employment in Project Management are building standardized credentials authenticating your understanding and ability to enact its principles and methodologies. If you already have some understanding of project management, and know you’re ready to begin a formal education in it, check out our rankings of top undergraduate and graduate programs in the discipline here. Things have come a long way since the days of the Romans. Today we use digitalized charts and archives to organize large projects, and interview for specific project management job positions. Before you can interview for a position in the field, you’ll likely need a degree in Project Management. The history of project management is centuries old, but modern, common practices, methodologies and terminology are essential to securing a job as a project manager, or even just using its principles to your benefit in whatever you do. One of the best things about PM is that it can apply to just about anything that you, or a team or likeminded people are working on. While other degree programs put you on a specific track, project management degrees are often more versatile and multi-faceted. Communication Skills let you get your point across to professors, classmates, coworkers, interviewers, fellow project managers and eventually your employees. Team Management Skills let you figure out the strengths and weaknesses of those you work with, and how to put them in the best positions to meet and exceed organizational goals. Risk Calculation lets you decide where opportunity and disaster lie, and steer your team and organization’s course towards one and away from the other. Remember the aqueducts! Goals and Outcome Foresight gives you an opportunity to demonstrate to an interviewer that you understand how to interpret, understand and meet goals, set them, and predict what strategies, resources and efforts can produce. To prepare for your next job interview for a Project Manager position, check out our list of the The 20 Most Common Project Manager Interview Questions. What’s Next in Project Management? So where is the future of Project Management? It’s furthering its integration and efficiency in technology, healthcare, education, government, budgeting, wealth distribution, and everywhere else. As the global economy creates redundancies and mutates traditional issues of risk, resources, labor, desire, service and the possibilities of meeting or grappling with them all, an up-to-date education is one of your best weapons in keeping ahead of the curve. Understanding human need, changing circumstances and how they create ripple effects will also be instrumental in keeping up with the evolution of project management. Earning a degree, or using independent study to keep current on project management’s accomplishments and techniques will give you a look at what’s coming, and of course, by monitoring the information published by organizations like PMI and IPMA on developments within the field. While the field is immensely complex, in many ways it’s based on discoveries and practices made long ago, and rediscovered throughout human history. It is within every development made in the modern world, and you can help shape that. “I don’t know of any other profession that crosses all job functions, all industries, all geographies,” Brian Weiss, vice president of practitioner career development at PMI.